What a dream of a Sunday. Honestly, I couldn't ask for a finer day. One of my oldest and dearest friends Mary landed here in CPH for a few days. We went to school together, and she lives in Ireland now. She is one of the most inspiring and spectacular women there is. I don't know that anyone else makes me feel so at ease, so deliciously silly and fun, and also as brave and interesting as she does. Because she is ALL of those things, and so much more. My goodness, I cried-laughing non-stop. Anyone walking past us on the street or sitting near us on the train must have thought we were 17, or just completely mad. We were in hysterics and it was wonderful. 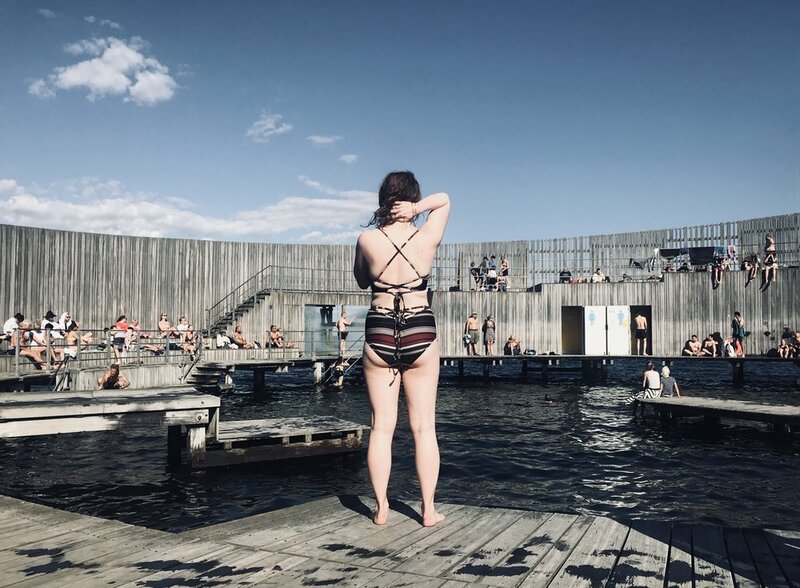 We spent Sunday evening at Amager, and the water was an absolute dream. We ate salty crisps in the last of the sun and skipped paying the train fair home, becuase it just felt good.